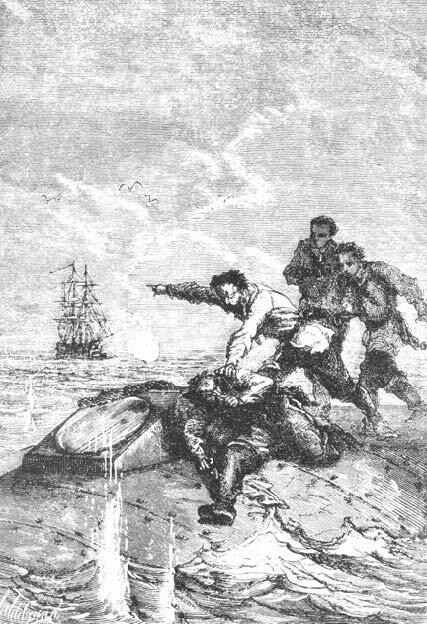 Jule Verne climbs the Gausta, most likely leaded by a local mountain guide, as every traveller did. Joël of the Novel lottery ticket, had such a profession. Verne and friends spent a whole day with him. At 10 hours they halted at a ‘seter’ – place for cheese making, on their way to the summit at 1883 m.
On the same day, 150 years later, many of his Norwegian readers gather on the same spot, celebrating his visit [L] to their country. Jule Verne tours the Vestfjord valley, admires the waterfall at Rjukan and decides to climb the Gausta mountain the following day. Jules Verne slept over at the southern end of lake the Tinnsjö. Here the three French travellers waited for rowers to arrive the next morning. Normally it would take 5-6 hours to row the full length of the lake. 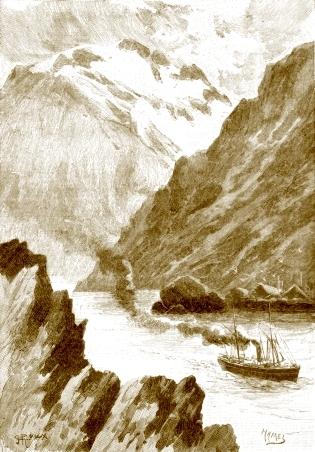 The itinerary stated in Verne´s diary though, indicates a much quicker crossing……..
– difficult to explain why. «We arrive in front of Dal at 15.15, a charming, well kept guesthouse. 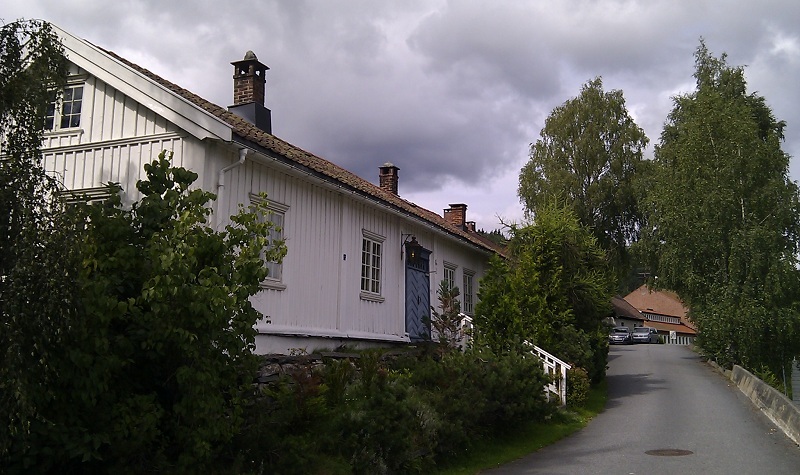 Jules Verne continued his journey towards Telemark, selecting to pass the Tinnes farm, today´s [ ‘Blues-town’] Notodden. 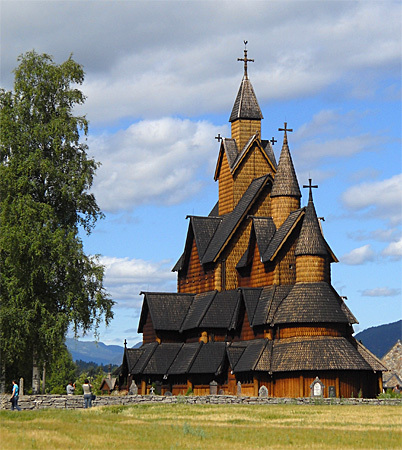 By choosing this route, he quickly got tha chance to admire the beautiful medieval church, Heddal stave church. Jules Verne arrived at the next main stop on the journey. In Kongsberg the travellers got some extra time to explore, while waiting for new horses. Maybe he spent some time talking to the proprietor of the small hotel they stayed at. Verne had read descriptions of the Kongsberg accomodation Hotel des Mines in the travel magazine Le tour du monde, but this is not where they selected to stay. Who knows, maybe the doctor from Kongsberg, Carl Wilhelm Boeck that they met in Christiania, adviced them? 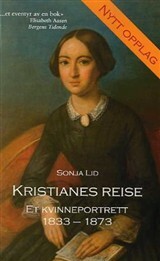 Anyway, the name of the widowed innkeeper, madame Inger Kristine Hansen, must have been well remembered by the author. Very likely she was his model for the widow running the Dal guesthouse in Telemark; madame Hansen – widow an owner. The people of Kongsberg have honoured Dr. Boeck by naming a street in the city after this famous professor of skin diseases. Jules Verne really got the chance to enjoy some time onboard ships again. 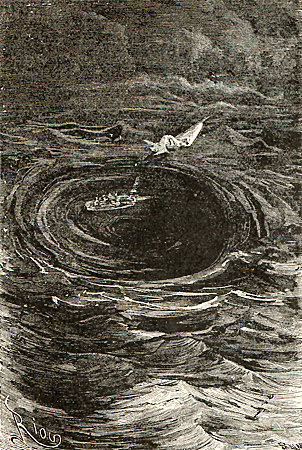 From the first pages of the ‘Joyeuses Miséres’ Verne expresses his love of sailing. Tuesday, On their way westward, towards the county of Buskerud, the travel party had the choice of either Bennetts diligence or a coastal steamer. Steamship involved staying the night, in the western part of the inner Oslo-Fjord basin; at Sandvika. The sailor from Bretagne chose of course this, the steamsloop «Josephine» took them among the scenic islands in the Sandviks-fjord. On Wednesday, they continued, on another coastal leg along the fjord, prolonging the mileage towards Drammen, their next stop, extensively. Either on or along the fjord, this is not completely clear. But seeing the area from a boat-deck in this very calm waters, was definately the most convenient way of travelling in those days. If they selected not to travel over land by horse and wagon, around the big Peninsula ‘Hurum’, between the Oslo- and Drammen -fjords Verne may have enjoyed the scenery from onboard the paddle steamer «St. Hallvard». 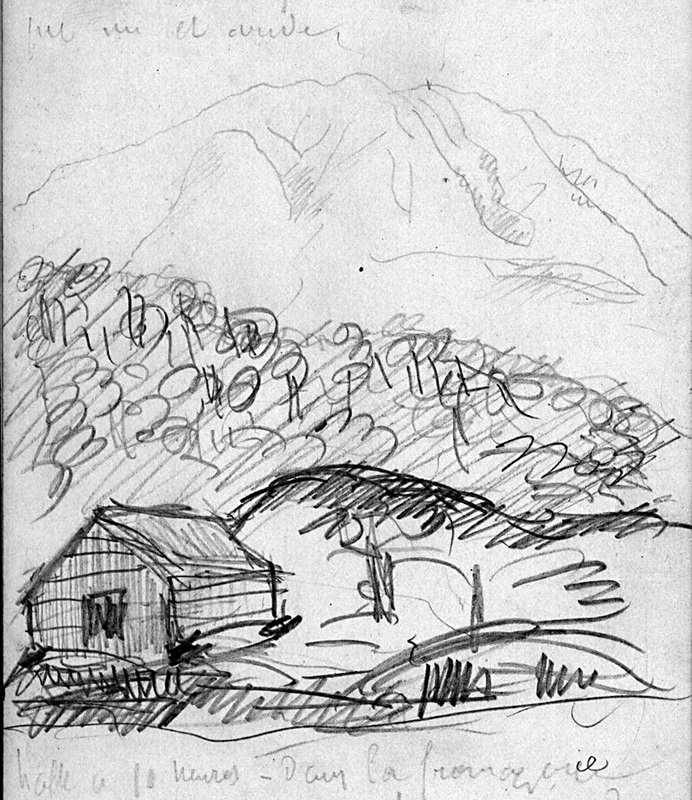 In these area he also made a nice drawing of a wooden barn – that probably saw from the steamer, or one of the several stops along the shore. After enjoying a nice meal in hotel Scandinavie, so nice that it entered the pages of the novel Lottery Ticket, once more the merry travellers could choose between land- or ship- transport. After a tasty meal in Drammen, of herbs and fish from the fjord, they carried on – along or on the river towards Hokksund. Between these river villages the steamsloop «Nokken» departed three times each day. Jules Verne had returned to the capital Christiania. We understand that also Doctor Boeck, from the day before, was back. Verne visited him at his hospital where they specialized in treatment of syphilis. But before this, earlier on the, day Verne apparently started preparations for the journey towards the counties Buskerud and Telemark. 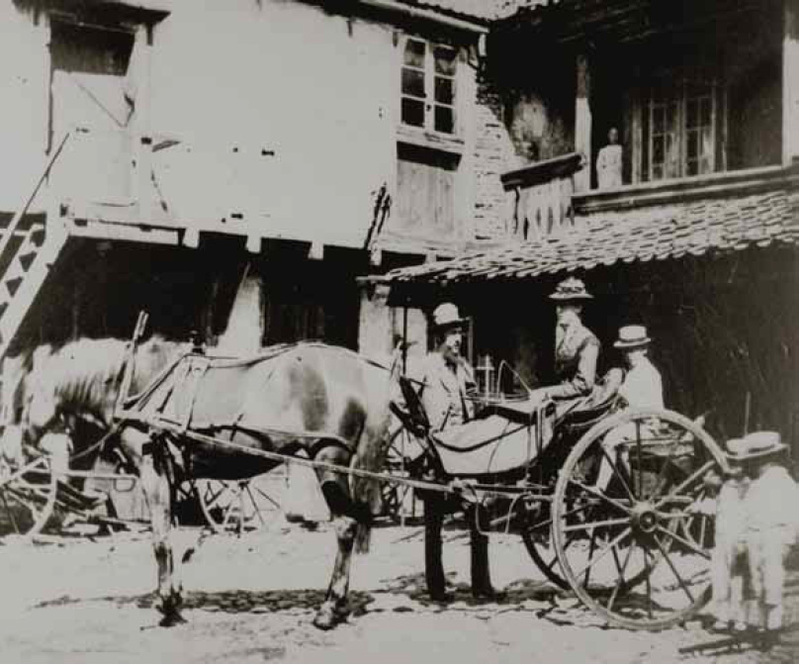 He had only to walk a short distance, one block, from Hotel du Nord where he was staying to get to Bennets ‘Bazar’, the specialized shop for tavellers – also a travel agency. Here Bennett’ s wagons and carioles we parked, and Verne was able to inspect the means of transportation that waited them after sailing towards Drammen on steam ship the next day. The biography about Kristiane Boeck (2007) describes how Dr. C.W.Boeck relied on his daughter´s exeptional gifts language-wise, how she was his travel companion all over Europe, and even translated all his scientific articles on skin deseases to French, when Dr. Boeck had them published. This indicates that Dr. Boeck may have foreseen his shortcomings, during the visit of these lawyors (and composer) from Paris. The obvious thing to do, is to invite his best friend, the professor of law, who is fluid in French after studies in Paris. – was he in fact modelled after a ‘real life’ person that Verne met during his days in Norway in 1861? 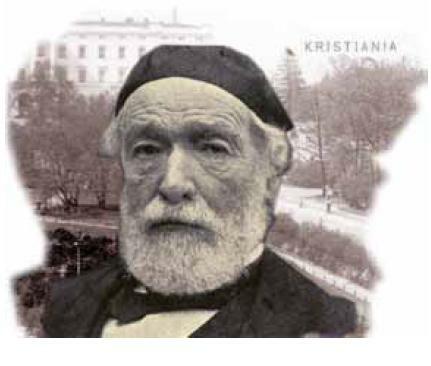 In the 1860s, he was considered by many, maybe the most important politician in Norway. Verne´s description of Sylvius Hog, the fictional professor of law and member of Norwegian parliament (‘Storting’) in the novel Lottery Ticket fits him perfectly. He and his wife were very close friends and regular house guests of the Boeck family, both in Christiania and at their country home in Eidsvold. 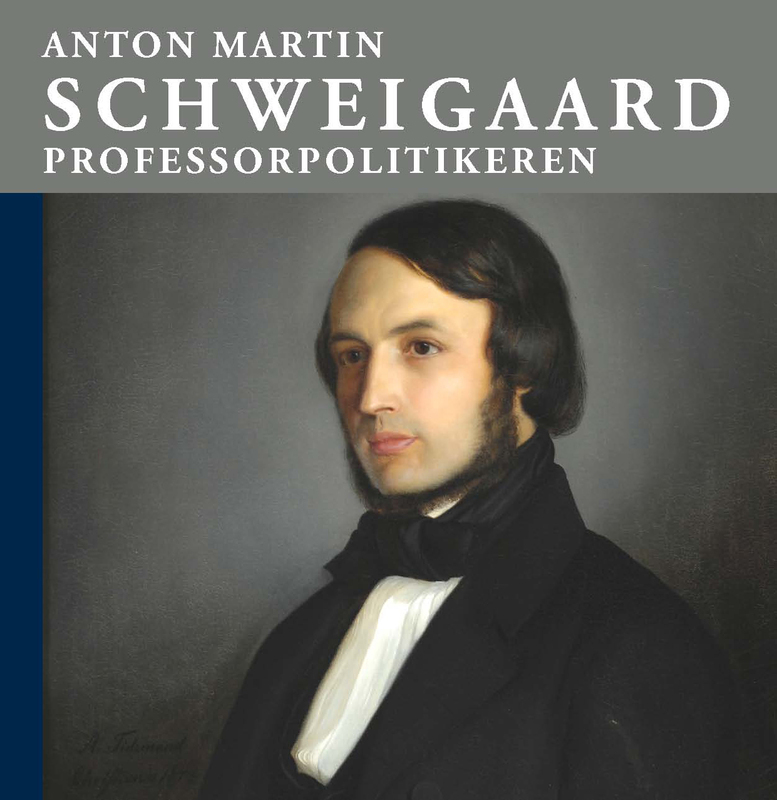 Professor Schweigaard had spent three years abroad for studies in France (and Germany). 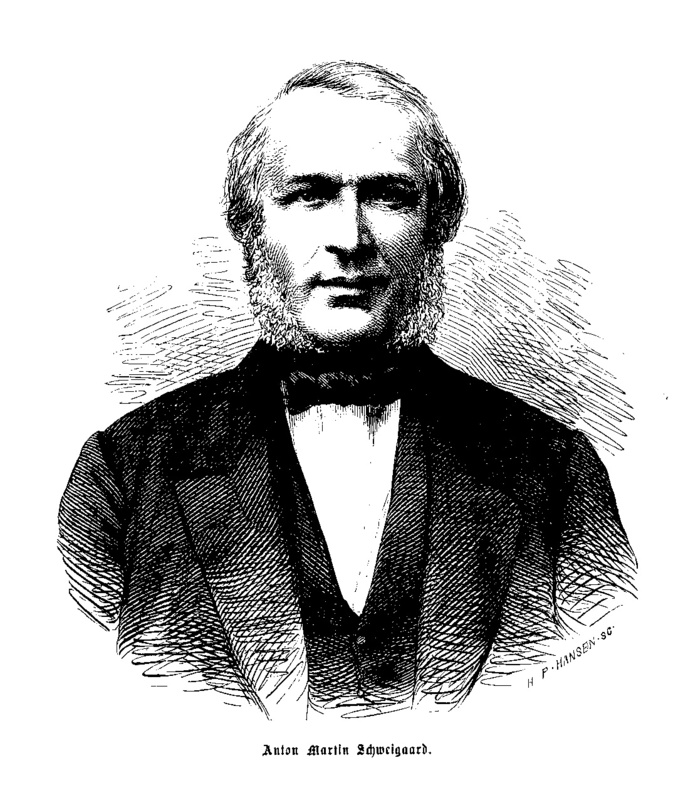 He had already publish an article in France literaire when Verne visited Eidsvold. 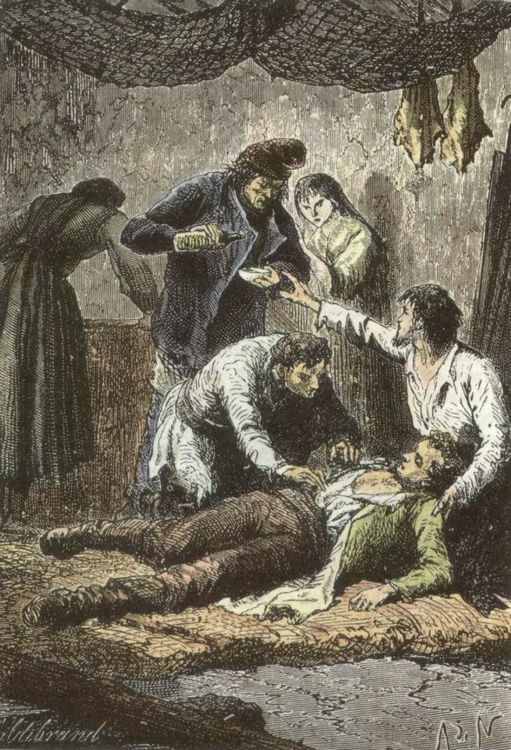 Jules Verne once more contacted the doctor that he had met the day before [see diary]. His travel companions had brought along from France a letter of introduction to a physician in Christiania [ref. Joyeuses miséres p.11]. Verne indicates in his diary on the 20th, that the second meeting was encouraging. They must have enjoyed each others company very well, because Verne receives an invitation for the next day to visit Dr. Boek´s country home at Eidsvold, close the lake Mjösa. 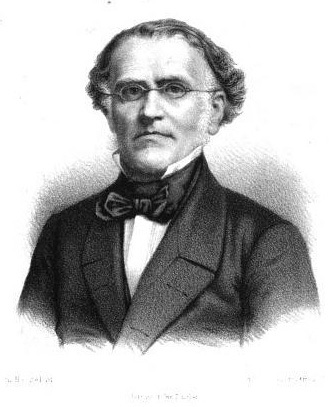 From Verne´s notes regarding the doctor, a hospital treating syphilises, we understand that the Dr. Boek in question must be the famous Carl Wilhelm Boeck, born in Kongsberg – now a delegate to the Norwegian Storting (parliament) from that region. He is of course the Dr. Boek who is mentioned two times in Verne´s novel Lottery Ticket. In the book Verne emphasize his close friendship with the main good-guy of the novel; the professor and MP Sylvius Hog. “A doctor! Why not send for my friend, the famous Doctor Boek, of Christiania? 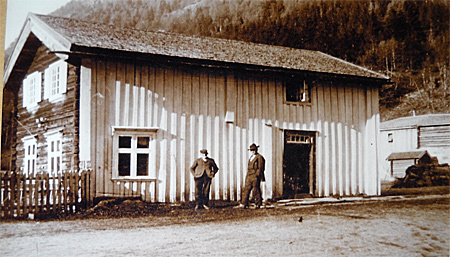 On July 22; the travel organizer Thomas Bennett, whom Verne spent several pages of the novel to describe, and at Kongsberg on the 25th, the widowed inn-keeper Inger Kristine Hansen, a possible model for the Dal inn-keeper madam Hansen. Jules Verne sailed over from Sweden into the port of Stavern, in the county of Vestfold – on the western side of the Oslo fjord. 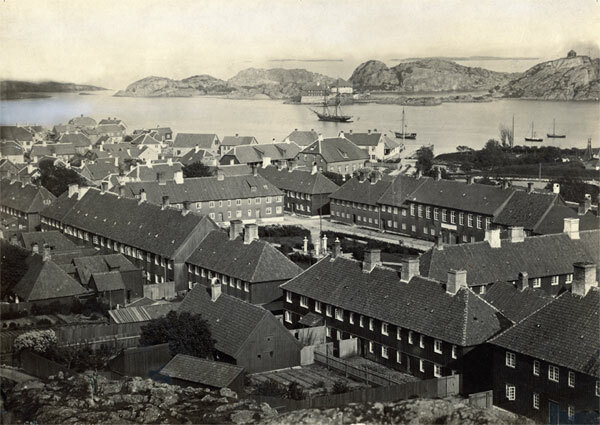 Stavern, was earlier called Fredericksvern, named after king Frederick V, king of Denmark/Norway – and once held the main naval base and dockyard of the Royal Norwegian fleet. Stavern is an impressing natural harbour for sailing ships, vessels without engines – as it is open to the sea in ‘both ends’. This port was easily accessible in different wind conditions, a feature most likely evident to the maritime minded Verne – who in his diary also commented on the long pier in the bay, connecting tiny islets with the mainland. Once every week the S/S «Viken» made this crossing between the main ports around Skagerak; Copenhagen – Gothenburg – Fredericksvern – Christiania – Copenhagen. The paddle steamer «Viken», owned by the Norwegian mail company, stopped in Stavern (mainly) for mail-deliveries before continuing up the Oslo fjord towards the capital, Christiania. Onwards on it´s way, the steamer called at Larvik, Wallö (outside Tönsberg), Horten, Moss and Dröbak. So, this journey among the tiny islands of the Oslo fjord, most likely was a cruise-like experience for Verne and his fellow French travellers. After sailing on the «Viken» also when leaving Norway, Jules Verne remembered the ship and it´s name very well. He even baptized his fictional ships in the novels Lottery ticket and Maître Antifer – both set in 1862, after it.